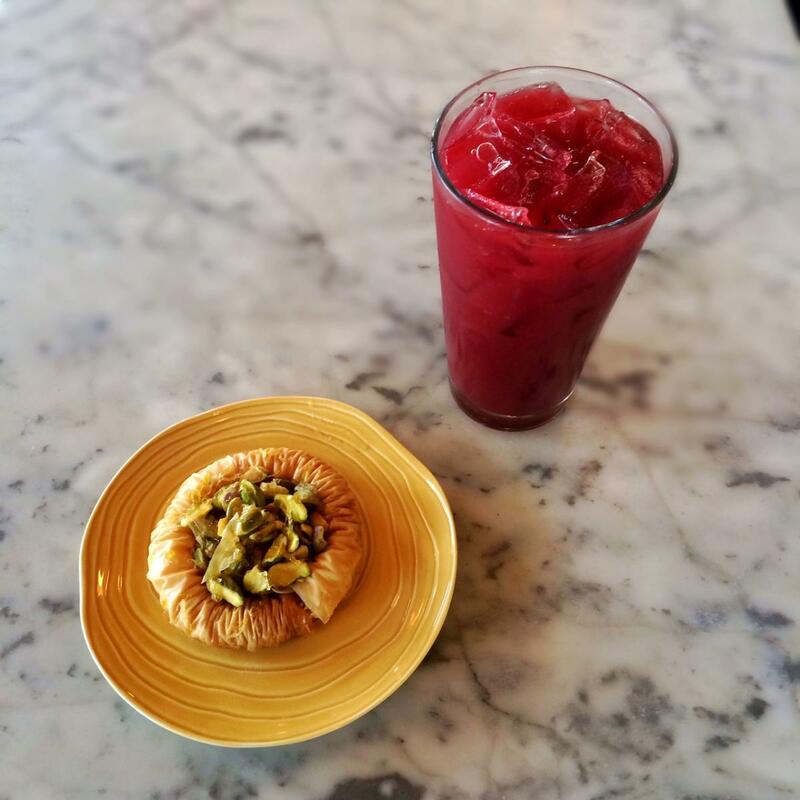 Cooking classes at the eastern Mediterranean bakery are back. Was your New Year’s resolution to become a better cook? 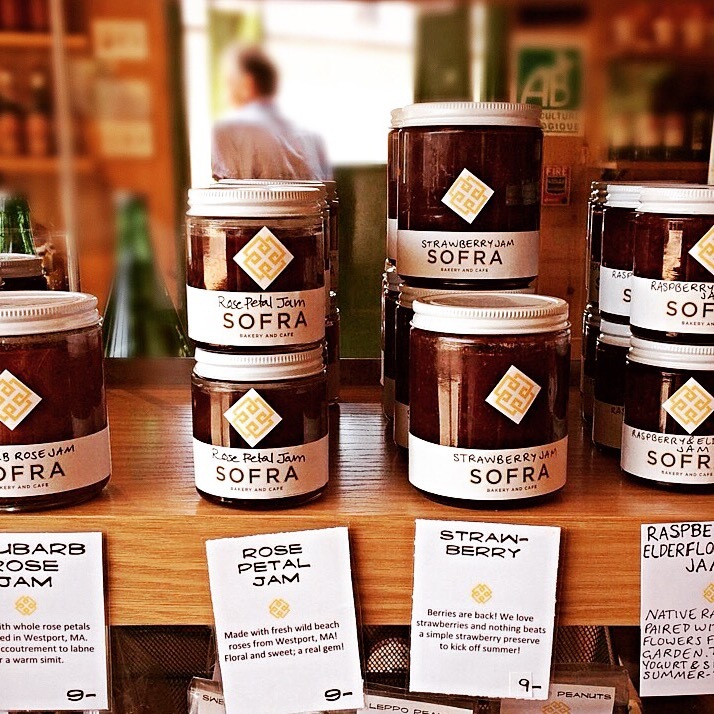 The educational series at Sofra Bakery in Cambridge might be just what you are looking for. Sofra is offering a series of single-night culinary intensives beginning in January and running into May. The popular bakery was established in 2008 by executive chef Ana Sortun and executive pastry chef Maura Kilpatrick. Sortun is the James Beard award-winning chef and owner of Oleana, an upscale Cambridge restaurant showcasing Turkish and eastern Mediterranean flavors. Sarma — which translates that style to small plates — is Oleana’s more casual younger sibling in Somerville’s Winter Hill neighborhood. The partnership with Kilpatrick, winner of multiple “Boston’s Best Pastry Chef” awards from Boston Magazine, has developed a cult following. Members of the Oleana and Sofra culinary teams teach the classes, which include tastings, lectures and recipe demonstrations. Classes are held on Mondays from 6:30 p.m. to 9:30 p.m.
Halibut in parchment, Brussels sprout tabouleh and spicy walnut sauce; caramelized scallops with Egyptian-style garlic sauce and sprouted lentils; flounder roulade with crab and leek saganaki; and hake with fideos, toasted garlic and saffron. Winter vegetable katayifi, a pie made with thin, wispy strands of pastry; a classic spanakopita with feta; and lamb pide. Kale soup with semolina; stuffed quince with jeweled rice; and lamb stew with chestnuts and bulgur pilaf. Chicken and yogurt soup with toasted vermicelli; red lentil soup with Turkish spices; braised chicken stew using a clay pot, baharat spice, leeks and cabbage; and kushari, an Egyptian-style rice pilaf with lentils. Sofra’s signature brownie-rich “Earthquake Cookie”; chocolate-Turkish coffee custard; and easy-to-make chocolate-stuffed dates. Braised lamb chops and carrot tabouleh; roasted leg of lamb with turnips and honey; and sweet potatoes with tahini, pine nuts and zhoug. Sesame cashew sarma with tahini-brushed phyllo; Lebanese semolina cake, tahini hot chocolate; and from Oleana’s dessert menu, frozen olive oil soufflé with blood orange. Dukkah and za’atar as condiments for olive oil and breads; Nantucket Bay scallops with beets, citrus and ANA spice; carrot soup; baharat chicken with nuts, dried fruits and tahini. Fava bean pate with eggs, capers and herbs; red lentil kibbeh with yogurt sauce; shrimp with onions and garlic; and roasted spring vegetables with tomato-brown butter. Warm buttered hummus with spicy lamb and pine nuts; baked goat cheese with spicy tomato sauce and Spanish-style crumbs; classic Apulian ceca marito with beans, greens and parsnips; tepsi or “tray” kebobs with bread dumplings and cacik. 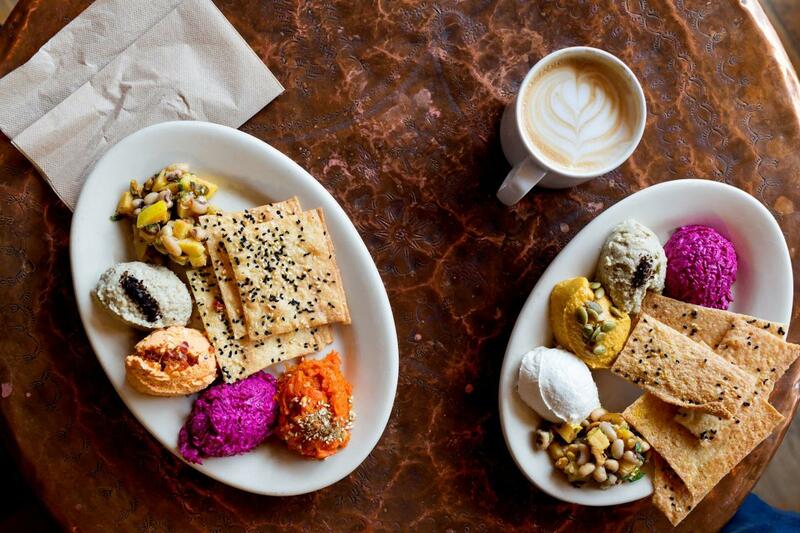 Spring vegetable borek with yogurt and mint; fatoush with radish and sumac; and roasted cauliflower with beet tabouleh and harissa aioli. Chickpea pancakes with olive oil, greens and herbs; skordalia, a garlic, almond and potato spread with olive oil and rosemary crackers; ribolitta with spring greens and pancetta; and salmon with capers, olives and golden raisin emulsion. Sticky toffee pudding with rooibos sauce; popovers with elderflower granite and strawberries; and milk pudding (muhullabeya) with chamomile apricots. This year, commit to upping your culinary cred. The only thing better than eating Sortun and Kilpatrick’s Mediterranean fare is being able to make it in the comfort of your own kitchen.